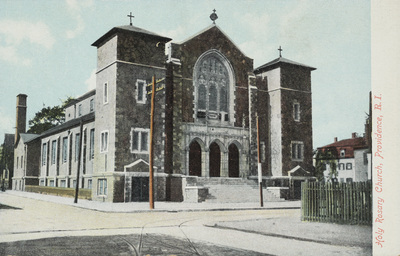 "Holy Rosary Church, Providence, R.I." by Rhode Island News Company, Providence, R.I.
Holy Rosary Church, Providence, R.I.
Rhode Island News Company, Providence, R.I., "Holy Rosary Church, Providence, R.I." (1915). Rhode Island Postcards. 462.